The Teach software comes with two components - the Teacher Program and the Student Program. As its name suggests, the Teacher Program is to be installed on just the teacher's computer, whereas the Student Program should be installed on each and every student computer. 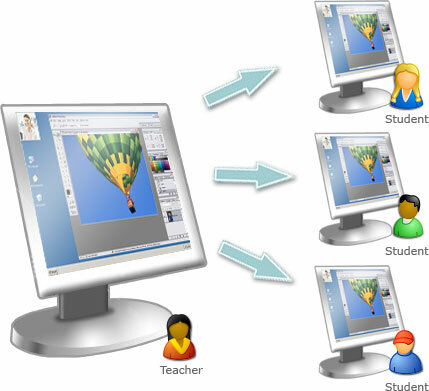 The Student Program can be installed on multiple student computers from one central location using the Junglebyte Deployment Utility, also included within the software. In addition, Teach also includes a Classroom Layout Editor and Question Editor. The Classroom Layout Editor is used for the creation or editing of classroom layouts used in the Teach program. Using the editor, layouts created would mimic the actual physical layout of the computers in the room. The Question Editor is used in conjunction with the Ask a Question and Exam features in Teach. It is a powerful engine used to create different types of questions quickly.